Like many Rochester residents, you may be unfamiliar with the benefits of chiropractic care. Chiropractic treatment offers an alternative to surgery or pain medications to treat neck, shoulder and spinal pain caused by stress, muscle overuse, chronic conditions, accidents, or sports injuries. At Chiropractic Natural Health Center in Rochester, you can learn more about chiropractic techniques that can provide you with long-term pain relief and natural healing. 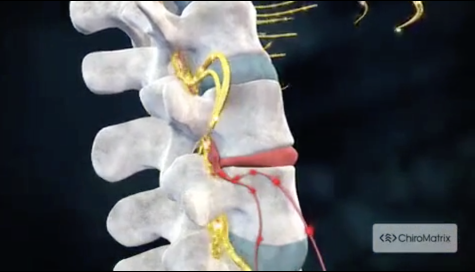 You can find freedom from neck, shoulder and back pain with the help of chiropractic care. At Chiropractic Natural Health Center, you’ll benefit from the services of Dr. Daniel Gizynski, a chiropractic specialist with over 40 years of experience in his field. Our state-of-the-art chiropractic clinic is capable of handling all manner of musculoskeletal problems that are causing you muscular neurological pain and stiffness. If you’re experiencing headaches, neck, shoulder, or back pain due to a work, auto, or sports injury, we offer a natural, non-invasive means of relieving pain and restoring normal body function. As a new patient, you may have quite a few questions about your chiropractic treatment. Your chiropractor in Rochester will take time to explain all procedures and therapies associated with your treatment so you’ll understand what to expect and feel more comfortable in our care. Our ultimate goal is to eliminate painful symptoms and guide you to health and wellness by helping you fully recover from your injury. Chiropractic care utilizes various natural therapies to achieve your goal of pain relief and healing. Manual adjustments help minimize pain by reducing nerve interference. Spinal manipulation helps restore balance to your system to reduce pain and restore mobility. Massage therapy improves your circulation to help your body heal quicker. Physical therapy exercises strengthen muscles and joints to restore flexibility and range of motion. At Chiropractic Natural Health Center, we customize our treatments to suit our patients’ individual needs. After reviewing your medical history and giving you a comprehensive Chiropractic exam, we’ll have a better idea of what kind of treatment plan would be best for you. No two people are exactly alike in how they respond to chiropractic care. With every session, however, you can count on making cumulative progress towards your recovery goals. The duration of your treatment will depend on the source of your pain and the extent of your injury. Your current health and lifestyle will also play a role in your recovery. A good part of chiropractic care is helping individuals maintain optimum health and wellness. Our nutritional and lifestyle counseling services will encourage you to adopt healthy living habits that minimize the risk of relapse or future injuries. To schedule a consultation with Dr. Gizynski at Chiropractic Natural Health Center in Rochester, call 248-650-1998 today. "My husband and i have been seeing Doc for over 5 years. A good listener - a great diagnostician - an able physician! Doc is exceptional! If you hurt anywhere or "preferably" simply want to get your health on track, don't miss the opportunity to schedule a visit!" "I have been going to Dr. G for 18 years. During that time I have had an automobile accident, broken ribs, a broken wrist and many lesser injuries. He has helped me through all of these crisis' as well as with my general alignment. He has always been kind, compassionate and competent. He listens! His knowledge of nutrition and supplements is extensive. The office staff is friendly, organized and supportive. I look forward to my weekly visit and would highly recommend Dr. G and his staff to anyone!" "Having know Dr. G for more than 20 years, I have referred many friends and family. Its always worth the 20 mile drive for my spinal adjustment. Wendy's considerate expertise and jovial manner help make it easy to get here and Doc always make me glad I made it!" "Dr. Gizynski is the best Chiropractor and Kinesiologist. He has helped me so much with my lowback and neck pain. He has also given me excellent nutritional guidance for my health care concerns, needs and goals. Thanks Doc for your continued care!"